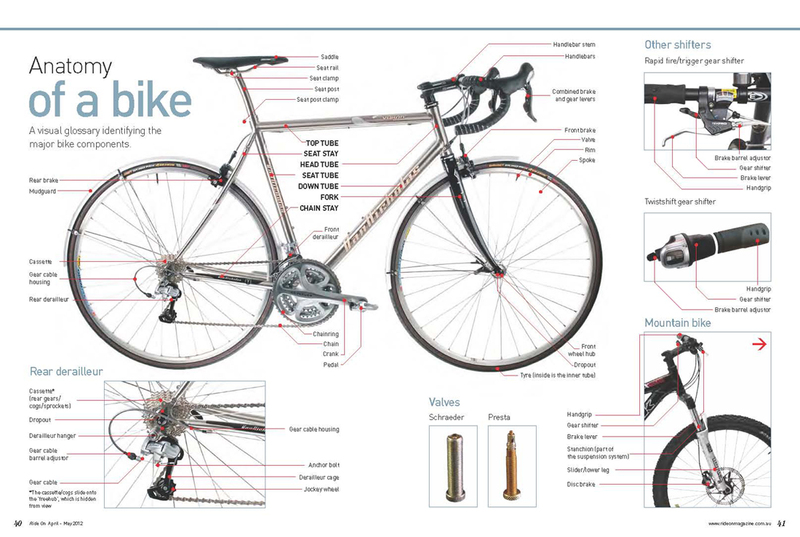 This section is designed to provide a foundation, information resource and reference point to help people new to bike maintenance or utility cycling. I will try to keep it updated with relevant links to my articles, external content and websites I recommend, links to good online bike stores, important information and address any other frequently asked questions that I encounter. If you have any requests for a review or information about practical cycling or commuting please send me an email karl (at) velophile.com.au or leave a comment. There’s many, possibly too many, choices of bicycles around on the market. This often can cause a lot of confusion for people who aren’t bike-savvy. This situation is often made worse as many bike shops in Australia, America, the UK and other developed but car-oriented countries are geared primarily towards bikes being for fast and furious middle-aged men in lycra (MAMILs). Generally though, there are three main categories of bicycles. What you chose depends on what you are wanting to do with the bike, how far and how hard you want to ride, and your budget. Hybrid bikes/city bikes/urban bikes/Dutch bikes: Although these types of bikes feature a variety of shapes, colors and sizes they are generally aimed at people who want a comfortable, sturdy bike that is capable of carrying groceries for short to medium distance trips (around 2-8km). These bikes are popular with people wanting something for leisure rides and short-commutes or shopping trips. They commonly feature a larger padded saddle, medium tyres, aluminium or steel frame, relaxed geometry, upright posture, swept or flat handlebars and minimal gearing. Prices range from $400 to $2500. The average price for a capable, good value urban bike is around $800. Mountain bikes (MTB): These are designed for off-road use and generally have suspension (front and sometimes also the rear). These bikes are best suited for recreational off road and trail riding and generally heavy and bulky to be used for road riding or commuting due to the rolling resistance of the wide, lower pressure tyres and frame geometry. They commonly feature a medium size saddle (depends on personal preference), wide low pressure tyres, aluminum or carbon fiber frame, MTB geometry, straight handlebars and extensive gearing. Prices range from $500 to $5000. The average price for a capable, good value hardtail MTB is around $2000. Road/race bikes: These are for people looking for something light, fast and fun. These bikes are great for riding hard and fast for leisure rides and medium to long distance commuting (around 8-30km), as long as you don’t need to carry much load. However due to their weight and expensive, delicate components they are not usually suitable for all-season commuting or practical cycling (e.g. carrying groceries in a pannier bag). They are also more susceptible to theft and vandalism. They commonly feature narrow, firm saddles, narrow high pressure tyres, aluminium, alloy and/or carbon fiber frame and components, aggressive geometry, aerodynamic posture, dropped handlebars and mid-range gearing. Prices range from $600 to $10,000. The average price for a capable, good value road bike is around $2200. In regards to bike sizing there are a variety of online sizing charts and bike fit calculators to assist you to find a bike that is a good fit. A bike that is too large or too small will result in potential injury (sore knees or hips) as well as being less energy efficient and less comfortable to ride. Remember the frame size is important to having a bike that is comfortable, efficient, safe and enjoyable to ride. Bike sizes generally cover small, medium and large are usually measure the length of the seat tube. This measurement is a bit confusing at times, as the saddle height is easily adjusted to suit leg length. The best advice I can give you is to have yourself measured up and use one of the above calculators so you roughly know what size you’ll be needing. Then spend a couple of hours visiting your local bike shop and test out some different styles and sizes. They will also offer advice to get a good fit as the frame size is only one variable of many. Some stores even offer a bike fit service where they will measure you up and then match you up to the perfect size bike and make any adjustments to get a comfortable fit. The most important measurement on a bike is the top tube length (see the graphic below if you don’t know what or where the top tube is), as this is more difficult to adjust and determined how stretched out over the bike you will be while using it. The two most important measurements you will need when determining the correct bike frame size is your total height and you inseam (leg length). Once you have those measurements an online bike fit calculator will assist you to find you approximate bike size. Other variables that affect bike fit include the length of the crank arms, the length and angle of the steam, the type of handlebars and the configuration of your bike saddle. These can all be adjusted and configured at a later date as you fine tune your fit to your preferences and riding style. Note 1: You can use a special “truing stand” which makes the job easier, but you can also do this with the wheel attached to the bike and the bike flipped upside down. Note 2: You will need a special “spoke wrench” tool to do this task. I recommend a 4-sided wrench to reduce the chance of rounding the spoke nut. Note 2: You will need a “chain breaker” tool to do this task. Note 3: When you replace your chain, remove the cassette and give that a thorough scrub before installing the new chain. Beyond the standard tools I recommend that everyone keeps in their home toolbox, there are some bike-specific tools to cover general bike repairs and maintenance. Buying tools is an investment, they might cost a bit to get initially but they will save you a lot of hassle and money over time so they are well worth the cost! 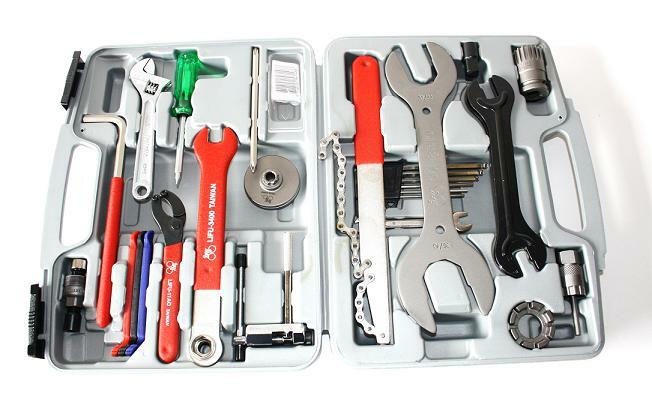 Bicycle tool kit: Suitable for 90% of jobs requiring bike-specific tools. Costs $60-80. 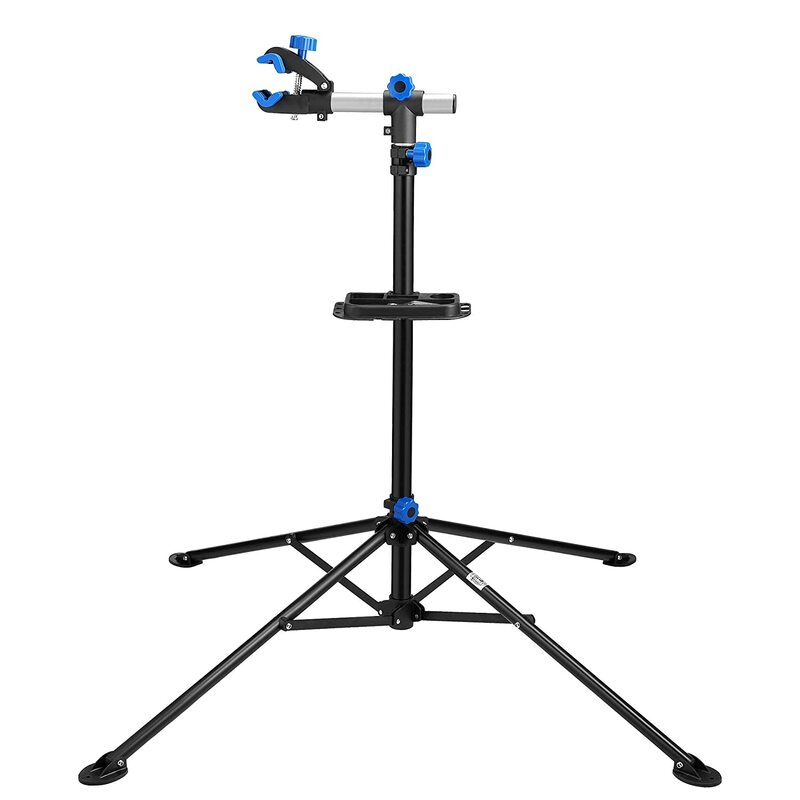 Bicycle repair stand: Great for replacing chain, adjusting gears, truing wheels etc. Costs $60-90. 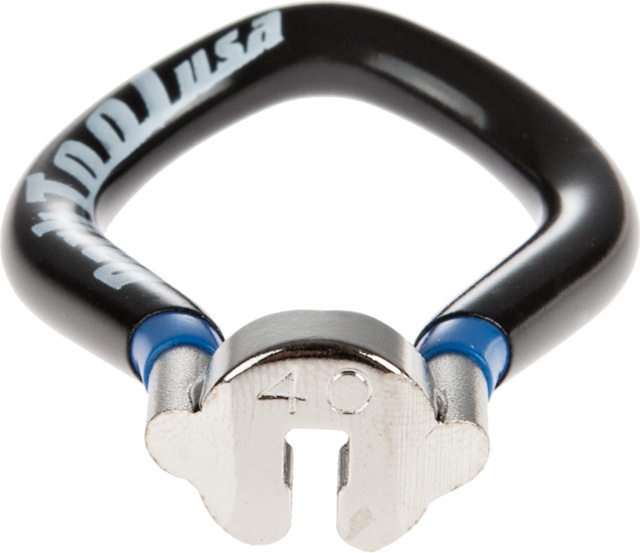 Hex Y-wrench /3 way hex wrench: This tool commonly has three common hex wrench sizes and is used to release/tighten allen bolts on your handlebars, seat post, pannier rack etc. Costs $10-15 for a good quality wrench. Chain degreaser and bike wash: I use a strong mix of Earthchoice grey water safe dish detergent with hot water, bought from your local supermarket for a few dollars. I strongly recommend Wiggle Cycle Store, Evans Cycles, ProBikeKit and Chain Reaction Cycles for buying tools, spares and accessories as they have great prices and an extensive selection. Ebay is also a good source for unique, specialty items or single items not found on the previous websites. If you have any requests please send me an email or leave a comment!